I started painting about nine years ago having previously studied Ceramic Design. I paint in both oils and acrylics and love experimenting with colour and pattern. 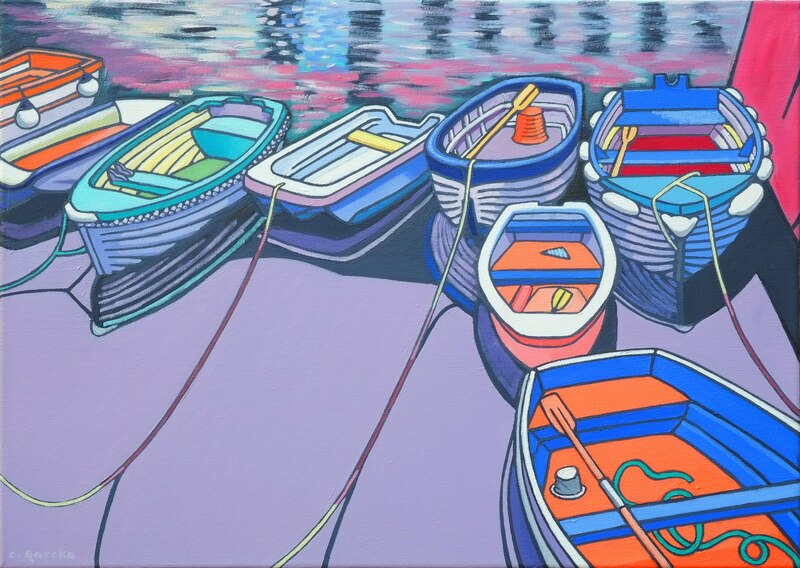 I am very inspired by the Cornish coastline with it's colourful houses and quirky boats and am becoming increasingly interested in painting water and reflections. My work is on permanent display at Four at the Shore, a little beach hut gallery at East Beach Studios in Worthing. I am a member of the Association of British Naive Artists and West Sussex Art Society and exhibit with them both regularly. I also take part in Worthing Artists Open Houses every year. As well as original oil and acrylic paintings, fine art giclee prints are available on request, please contact me for prices. Cards and small framed prints are also for sale in the gallery.